Cuzco was the capital of the Inca Empire and today it is a UNESCO World Heritage Site and one of the most visited cities in Peru. Many visitors also use it as a starting point for their trips to Machu Picchu. The city is quite beautiful and it has very well preserved colonial architecture. There's a rich history that you can see just by wandering the streets. There are also many tourist amenities and a vibrant nightlife scene. 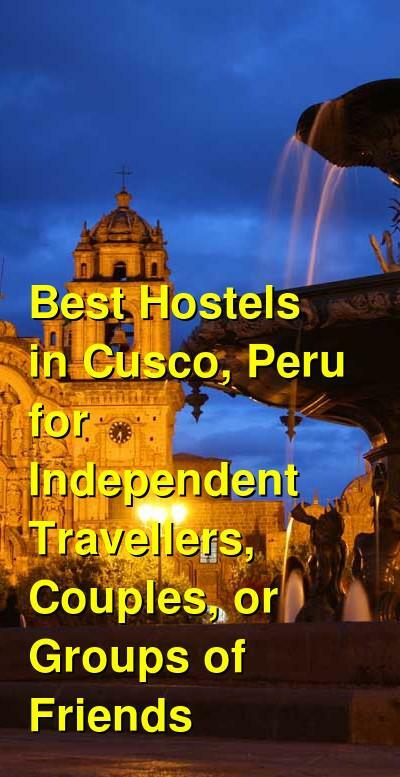 As a popular tourist destination, Cuzco has many hostels and budget hotels available. There are a range of options, and most offer a social environment and helpful staff. Many can also help you arrange travel itineraries or excursions during your time in the city. 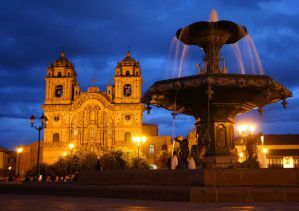 How much do hostels in Cusco cost? The Recoleta is a favorite hostel for travelers to Cusco, Peru. It's a charming and small hostel that is conveniently located just a short stroll from the Plaza de Armas, or the city's main square. It's located in a safe and historic neighborhood that is fun to explore. This is a hostel with a lot of character. It has a quiet and relaxing atmosphere that makes a great retreat after a busy day exploring the city. The hostel is clean and the staff are friendly and helpful. They focus on the details, so you're sure to have a fun stay. Despite being a peaceful retreat, this hostel is also a social place where it's easy to meet other guests. There are both indoor and outdoor spaces where you can hang out and chat with other visitors. The hostel also offers all of the standard amenities including lockers, free breakfast, a book exchange, travel information, access to guidebooks, and cable television. There's also a shared kitchen available where you can prepare your own meals. There are both private rooms and dorms available. Private rooms include singles, twins, and three bed rooms. Dorms sleep up to four people. Pariwana Hostel is another favorite hostel for travelers to Cusco. It's in a great location near many of the city's best historic sights. It's also an affordable place to stay where it's not hard to meet other travelers. The hostel has a social atmosphere and is not particularly quiet, so if you're hoping for a good night's sleep, this may not be the place to stay. Pariwana is also a very large hostel with a variety of amenities available for guests including free wi-fi, free daily breakfast, free travel information including city maps, free tea, luggage storage, and more. If you want to hang out with other guests then the hostel has a fun bar on-site that has daily happy hours. There are also board games available for guests, as well as a restaurant, a nice central courtyard, and daily activities that include trivia nights, poker nights, and more. Private rooms are twins, doubles, and triples. Both rooms with shared or private bathrooms are available. Dorms sleep six, eight, ten, twelve, or fourteen people and there are female only rooms available as well as co-ed. Pisko & Soul is another popular hostel in Cusco. It's a friendly place to stay and it won't be long before you meet some other travelers. The staff are also great and can help you with any travel information that you might need. Your stay here is sure to be fun and enjoyable. The hostel is located in San Blas, which is a traditional neighborhood in Cusco with a lot of character. It's about three blocks from the city's main square and is in a popular bohemian area. In the surrounding neighborhood you'll find plenty of restaurants, cafes, and live music that you can enjoy. This hostel has plenty for guests to do. There are several nice common areas and you can play games or join any of the activities that the staff help organize. This will quickly become your home away from home. The hostel has both private rooms and dorms available. Private rooms are singles, twins, or doubles. Dorms sleep up to four people. Ecopackers is located in downtown Cusco in an old house that was one of the original Casonas built by the Spanish settlers when they conquered the Incan Empire about 500 years ago. This hostel appeals to young travelers and backpackers because it has a social setting where guests enjoy hanging out and having fun. There's often a party going on, and there will likely be music playing somewhere. The hostel has a friendly atmosphere where it's easy to meet other travelers and it won't be long before you've made a few friends. It's also the perfect place to retreat after a busy day exploring the city. As the name implies, the hostel is also an ecologically friendly establishment that prioritizes sustainability. The hostel has dorms that sleep eight, ten, fifteen, or eighteen people. If you're young, on a budget, and looking for a fun place to stay with other like-minded travelers, then this is likely the place for you.